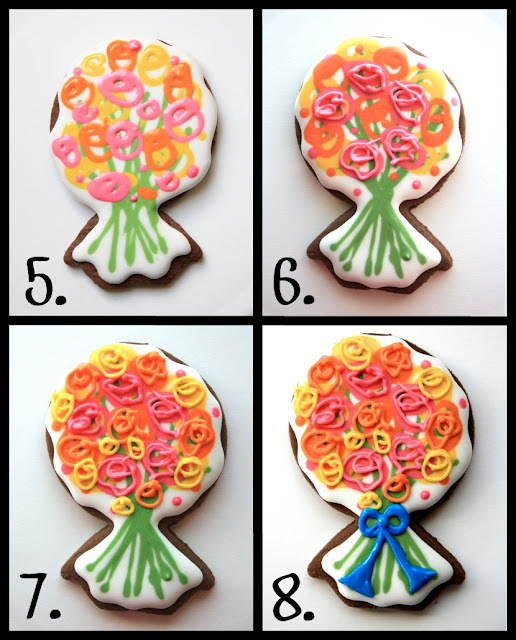 Like... how I made those flower bouquet cookies. They are so super easy that I'm actually including a picture of the cutter and the cookie itself in an effort to make it seem more complicated. 1. Umm, this is the cutter.It's a diamond ring cutter. I believe you may have seen it before. 2. This is the cookie.I just cut it out with the diamond ring cutter and then turned it upside down. 3. Flood it with white icing. Don't follow the circle shape at the top. Give it some wavy edges. And also, don't go all the way to the edge. Leave about 1/4 inch from the sides. We're going to add more icing which will push it the icing over the edge if it starts out too close. 4. 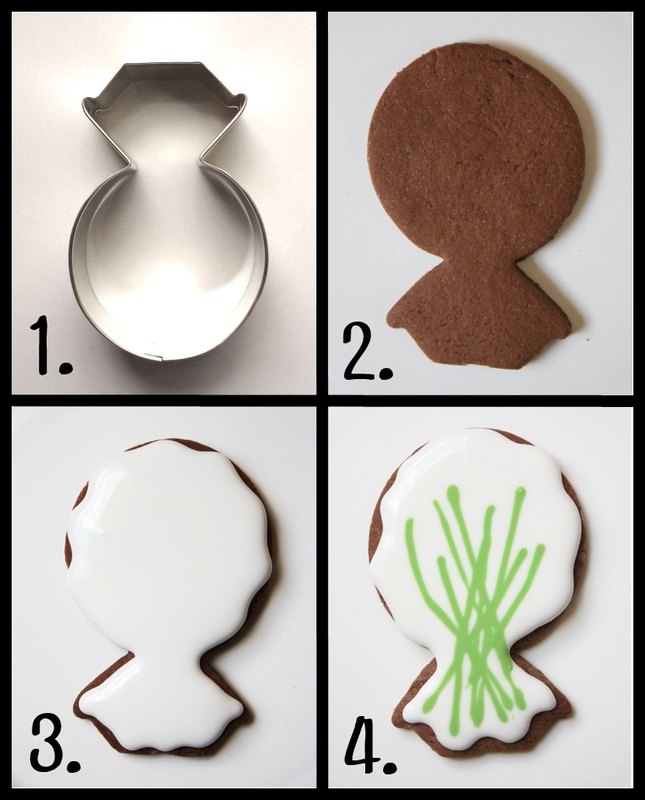 Immediately after flooding the cookie, add some green stems. 5. Immediately after adding those stems, add some rough flower shapes. With icing, I draw a lowercase "e" shape and then connect the bottom to the top. Or pipe some circles over the top of each other. Kind of like this fantastic techniquefrom Arty McGoo. Only... you know.... without the beautiful painting job. Working quickly, layer 2-3 colors. 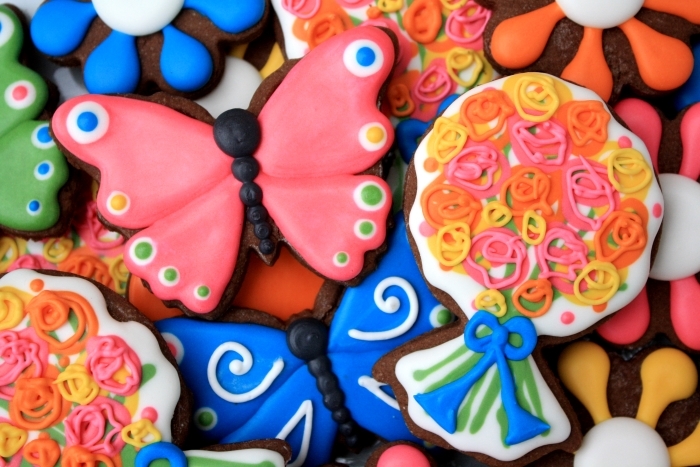 Add some dots of color if spaces look empty.Let the cookie dry overnight. 6.Using thick icing in the same colors as your flowers, and a #1.5 tip, once again pipe on your "e" shaped flowers. Hold the tip an inch or so above the cookie so that the icing line squiggles as it falls onto the cookie, giving it the look of messy petals. 7. I like to layer the top colors opposite from the bottom colors. So on these cookies, the bottom layer of flowers was done orange, yellow, pink and the top was done pink, yellow, and orange. 8. Add a bow of some kind. If you wanted to make your bow slightly wonky and weird, I would be okay with that. It would sure make me feel a little better about this whole thing. You can use pretty much any cutter that has a narrow "neck" part on it to make bouquet cookies. 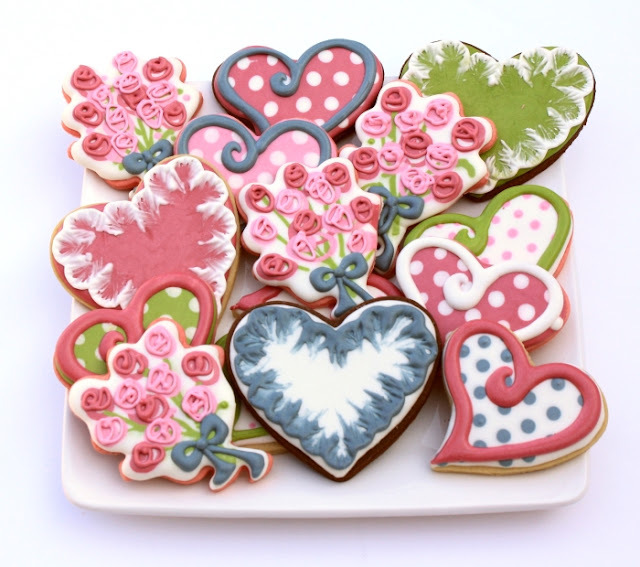 Can you guess which cutter I used to make these bouquet cookies? 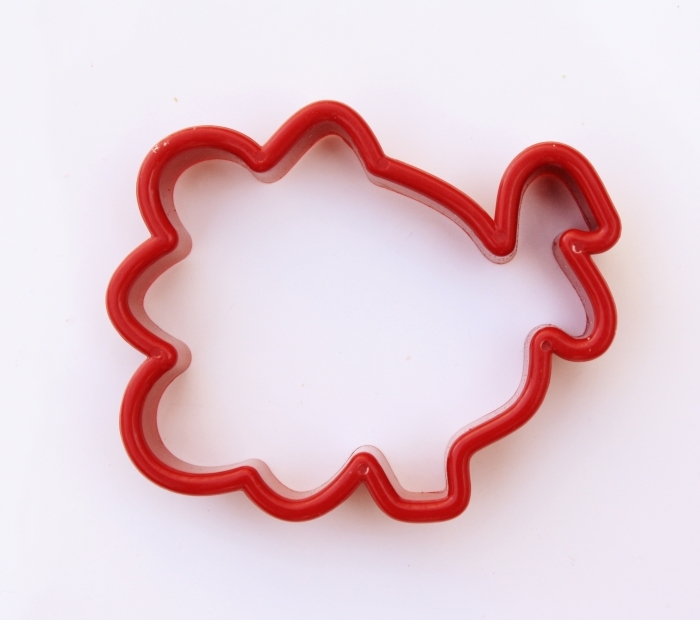 So....yeah... it was a turkey cutter. What other cutters do you think would work?